*This automatic loading stretche is our latest product,it's made of high-strength aluminum alloy thick-wall pipes. *The bed surface is made of foamed cushion and the adjustable back making the wounded feel comformtable. *The machine is very convenient;one person is enough to send the patient to the ambulance stretcher. *The mechanical foldaway legs are controlled by the handles on both ends of the stretcher. *And the legs can be folded under the stretcher automatically when loading into the vehicle. 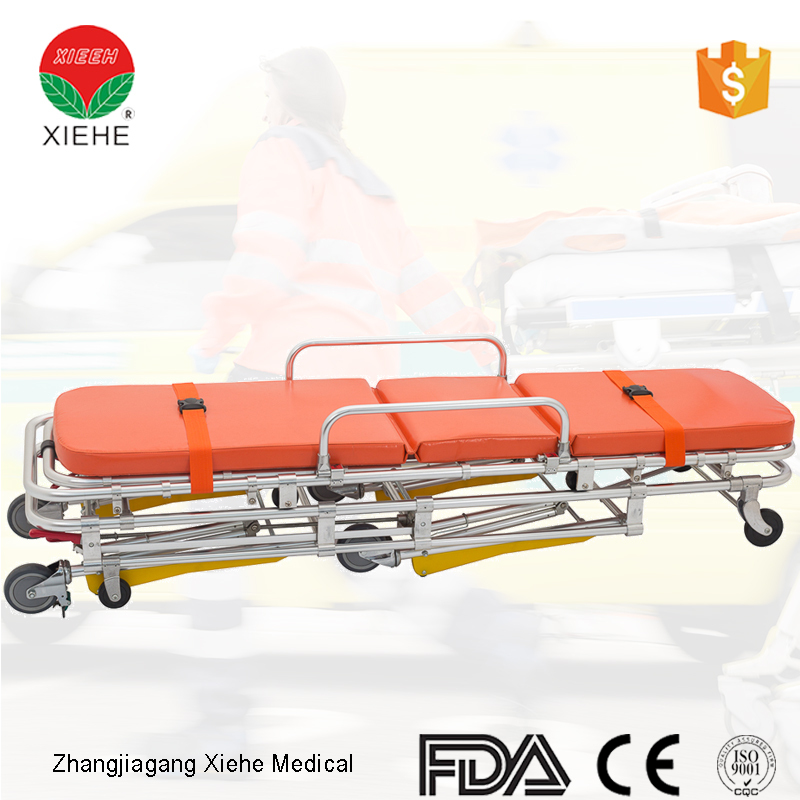 *Also the stretcher can be locked by the fixing devices when on the ambulance car. 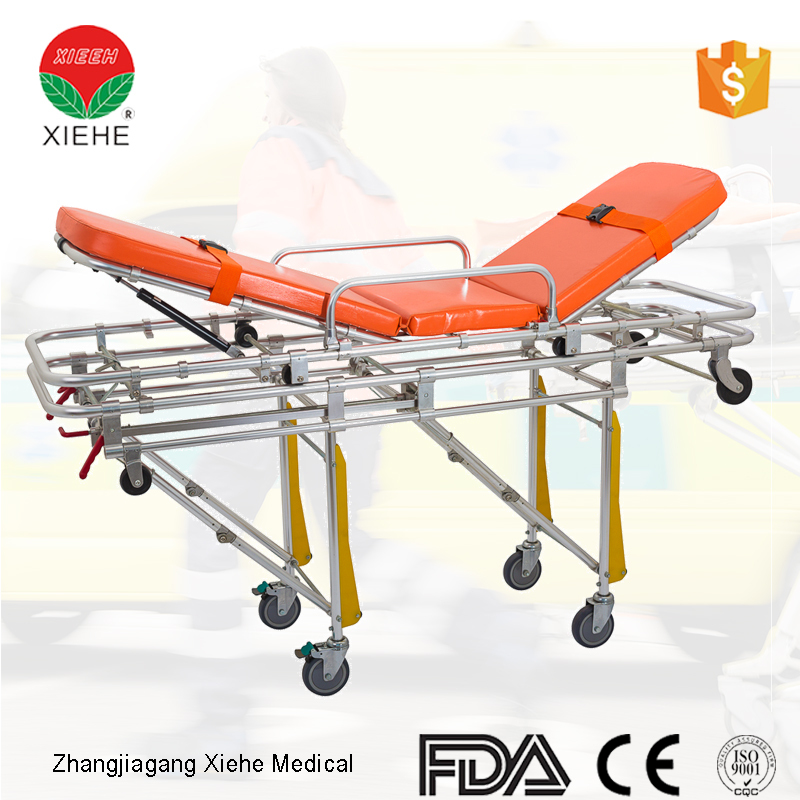 *This type of stretcher is characterized by its being light,durable antiseptic easy for sterilization.